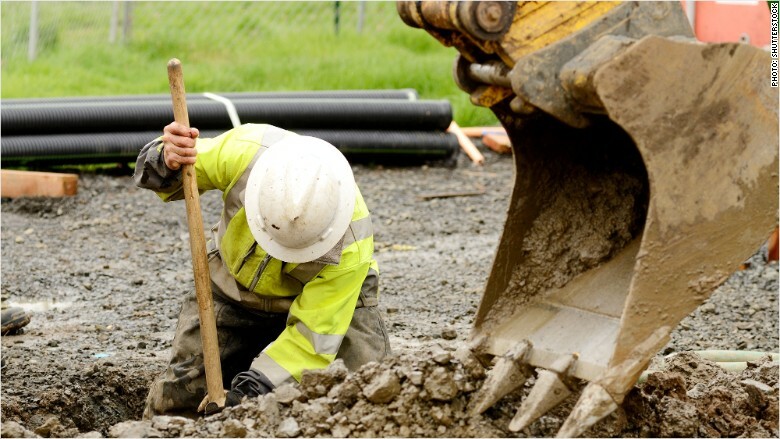 Hundreds of workers in the United States are killed on the job every year as a result of accidents. But a new report highlights some disturbing trends in workplace fatalities, including increasing instances of violence, suicides and deaths among immigrant workers. Violence on the job: Overall, the number of workers who died as a result of violence, such as assault, rose to 773 in 2013, up from 765 in 2012. That's according to a study of Labor Department data by the AFL-CIO labor union. For women, homicide was the second leading cause of death on the job, and female workers suffered 70% of the injuries related from workplace violence. Supervisors in the retail industry and professional drivers were the most vulnerable to being murdered on the job. The retail trade had the highest number of homicides, with 95 deaths. Co-workers were responsible for 74 killings on the job, though most workers were killed by an outsider. Suicides at work: The number of people taking their own lives at work is on the rise. In 2013, there were 282 workplace suicides. That's up from about 250 in the previous two years. "Toxic work environments that include workplace bullying and increased work pressures are most likely to have contributed to this growing problem," the report states. Immigrants and Latinos are most at risk: Immigrants were most at risk of dying on the job: overall, 66% of workplace related deaths were among workers born outside the United States. The job fatality rate for Latino workers is 18% higher than for overall workers. In 2013, 817 Latino workers died on the job, up from 748 in 2012. Most of the deaths occured in the construction industry. But there was a sharp rise in the number of deaths among Latino maintenance workers who trim trees. Despite these alarming trends, the overall number of workers killed on the job fell slightly to 4,585 in 2013, down from 4,628 in 2012.